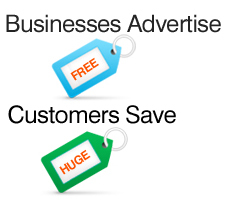 Sign up to receive the CouponHUGE newsletter with special offers. Newsletters are a great way for businesses and customers to stay connected with each other. By signing up for our Free newsletter you will get special Offers sent straight to your email. That way you never miss out on potential bargains. If you are interested in receiving our newsletter then simply Enter your email address in the box on left side. By sharing with us your special offers and coupons, you are showing your customers that you care. It also will keep you ahead of your competition.